I still have some time left as I celebrate on January 7th, but we will be celebrating with my husband's family tomorrow. I have a couple of more things to do before tomorrow and I'm dreading going out in the madness. I will be making this post short and sweet since my mom says my posts are too long. Hope this is short enough for you mom!! My crocheted snowflakes whip up quickly and I plan to make more tonight. Nothing like last minute crocheting to do. I attached little bells at the bottom and am pleased with the result. I used a little starch and they are not super stiff but they do maintain their shape. I finished my brother's deer and will be using craft paint instead for the box. It's easier for me and doesn't create a huge mess. My crochet granny square is getting less wonky now that I turn every round. I found a few stitches that slipped out when I took this picture and freaked!! Luckily, I was able to re-crochet it back together and tie a knot in the end so that won't happen again! I will be busy baking cookies tonight for tomorrow and hopefully won't eat too many...heheee. Another one of my giveaway packages arrived safely in Australia. Noni received the ornament by Blue Ribbon Designs from JCS 2013 Ornament issue. 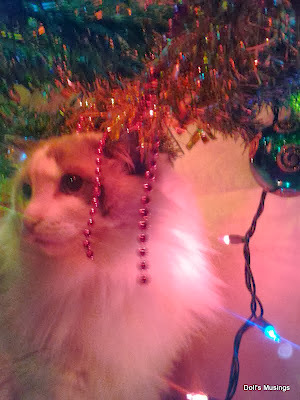 I'm glad she likes the ornament and it's on display for Christmas. Thank you all for your wonderful comments. I hope to respond once I've finished today's shopping trip. Wishing you all of the best for Christmas. Sending you all a big hug!! Looking fabulous! Enjoy celebrations with your husband's family tomorrow! 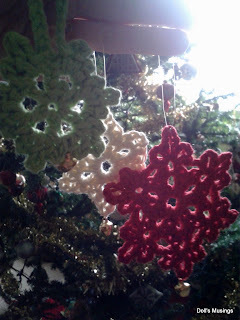 Love your crocheted snowflakes, so pretty and the little bell at the bottom is a lovely finish. Such beautiful crocheted snowflakes!!! And the BRD ornament is beautiful as well!!! Beautiful stitching! The snowflake look lovely.So do your other finishes. I hope that you have a wonderful holiday. Give Titus a scratch behind the ears and on his chin for me. The ornament you made Noni is beautifully stitched and finished! Happy Holidays! You are still a busy little elf! No doubt there will be many happy recipients of your wonderful hand work! Lovely photos Anne. I hope you have a lovely day tomorrow and Titus too, of course. All the best for the coming year. Love all your photos--they are so gorgeous! The crocheted ornaments and the Blue Ribbon Designs ornament are lovely! Merry Christmas, Anne! Have a wonderful Christmas and the best, the healthiest, the most prosperous New Year! I love your crocheted snowflakes! And your granny square is lovely as well. Noni and your brother are lucky to be receiving some Christmas stitching! Titus is the picture of innocence. :) Wishing you a very Merry Christmas! Lovely finishes and beautiful photos! Your stars are gorgeous! I love the bells. The deer is adorable and the blanket is colorful. What a lovely giveaway! You did a great job. Cute Titus..sounds like my cats. Merry Christmas and happy holiday time! Merry Christmas Anne to you and your familt: Love the ornament so pretty, Titus looks adorable, Blondie sends Christmas kisses his way. I am just teaching myself to crochet I am loving it. Your outdoor pictures are stunning. 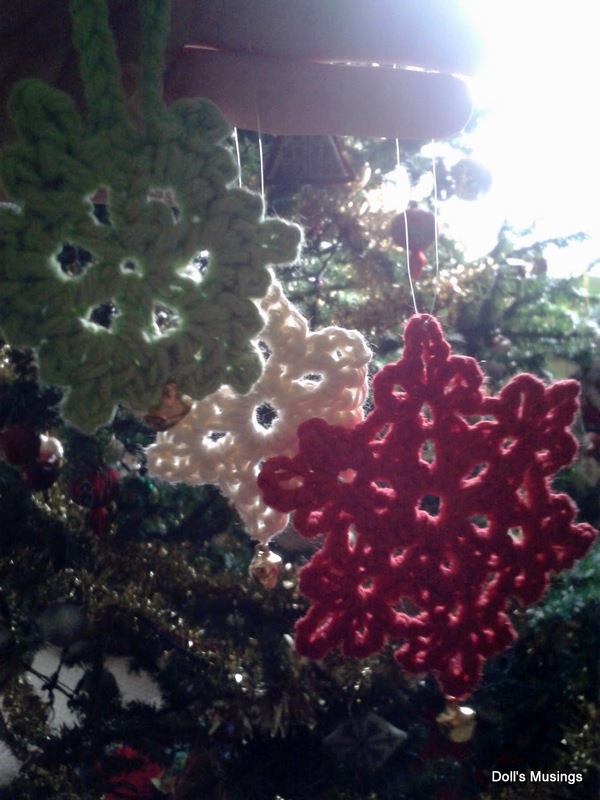 The crochet ornaments are sweet, I love them maybe someday I will be able to crochet something like them. Looking forward to seeing your box finish. Lovely Christmas-time photos Anne and love your gifts. 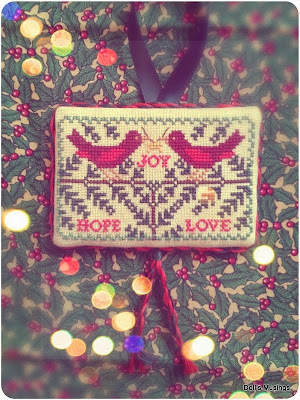 I hope you enjoy your whole holiday season and have a prosperous and stitchy new year! Ahhh, those great snowflakes with the little bells, they are just lovely. And so are the deer and the afghan. The two little cardinals that you finished as an ornament are also among my favourites in this year's JCS ornament issue. I hope you had a great Christmas day with your husband's family. Merry Christmas Anne! And a Happy New Year! Thank yo for stopping by my blog and leaving a comment. It's always nice to see someone new, and I can come along and see what you've been doing.... Your cat is gorgeous and I live the granny blankie. Super ornament you made too. The crocheted snowflakes are so cute and I love the ornie you made for Noni - very sweet! And I don't think your posts are ever too long - I love a long post! Merry Xmas! Beautiful pictures and a lovely ornie too. Had to laugh at your mom saying your posts are too long--my oldest son says the same thing about mine! 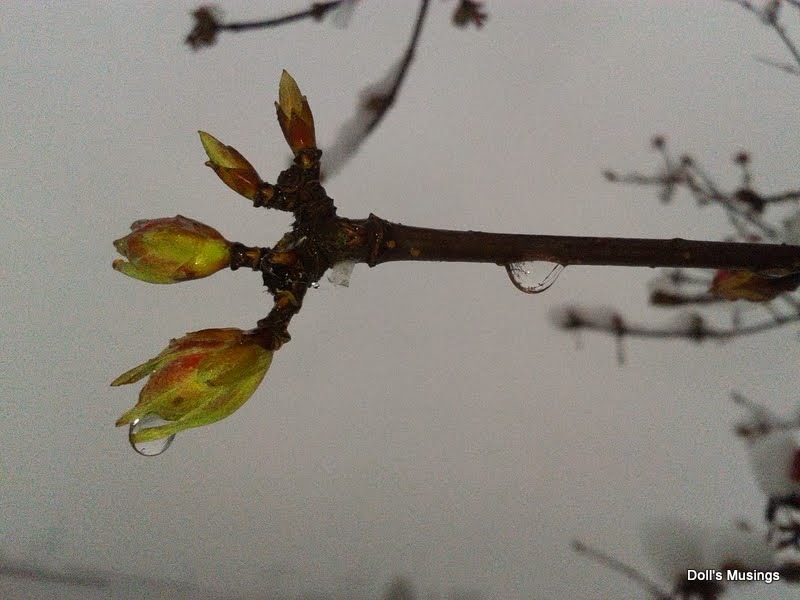 I always love reading your newsy posts and seeing the lovely photos you take. Love that ornament for Noni and the crocheted snowflakes are lovely. Hope you didn't eat all the cookies--with four guys in my house over the past five days, mine sure disappeared quickly!! 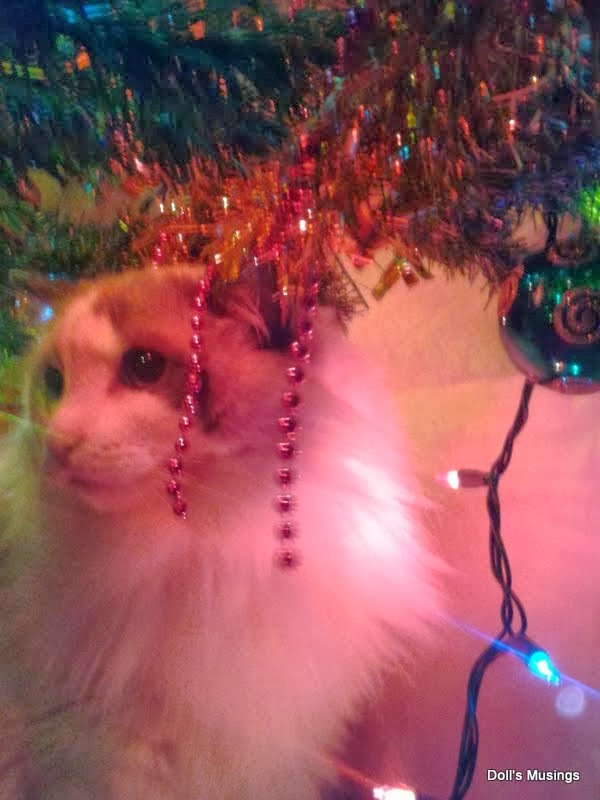 Your ornaments are all lovely.